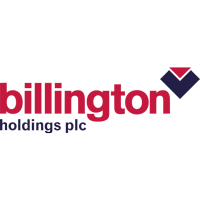 Billington Holdings Plc (LON: BILN), one of the UK’s leading structural steel and construction safety solutions specialists, CEO Mark Smith joins DirectorsTalk to discuss its audited results for the year ended 31 December 2018. Marks talks us through the highlights, explains what has driven the strong growth across its subsidiaries, the key drivers, opportunities, how 2019 has started and confidence for the year ahead. Billington Holdings Plc, one of the UK’s leading structural steel and construction safety solutions specialists, is a UK based group of companies focused on its structural steel and engineering activities throughout the UK and European markets. Group companies pride themselves on the provision of high technical and professional standards of service to niche markets with emphasis on building strong, trusting and long standing associations with partner clients. Click BILN for the full archive.